Do you find yourself tense and aching each day after work? Many people work a full day at a desk while working on a computer. You may be aggravating your body by slouching or slumping at your desk for 8 or more hours a day. This type of posture at work can leave a lasting impression that can last whether in or out of the office. Imagine the compound effect of constantly sitting in a poor position like this. You’ll be back to caveman posture in no time. Since you spend so much time working, this is really an area that you should focus on and correct. If you are experiencing tension or neck or back pain, this is one area where you should pay special attention. Poor posture at work can leave lasting impressions on your posture overall and lead to unnecessary aches and pains. Improving posture and sitting straight while working can make drastic improvements to your overall health. If you’re in front of a computer, your monitor should be straight ahead of you at eye level. For the optimal position, place your monitor on top of something if you need to add more height. Your chair should support your lower and mid-back. For a quick and temporary solution you can use a rolled towel for relief. Your forearms should be parallel to the ground. Keep your feet flat on the floor (or on a foot rest if they don’t reach). Your knees should be at the same level of your hips or below. Don’t have your chair high too high or too low. Don’t cross your legs for long periods of time, especially at work under a desk. It’s just not a position you should twist yourself into for a long time. Try sitting up with a straight spine while your legs are crossed under a desk. The fact that it’s difficult to do is a good indicator that you’re putting your body in a twisted position. If you work while sitting at a desk all day, you should consider a way to incorporate a standing desk or find a way to stand periodically during the day. While it’s nice to have a convertible standing desk, they can be expensive and some employers will not help you make accommodations. Thankfully, there are ways to create a standing desk on your own. You can make an easy DIY standing desk for $22. As another option that is not quite as permanent, if you use a laptop, an easy conversion can be as simple as placing it on top of a plastic file box. Just be sure that you don’t lean your head down to look at the screen. Rather, make adjustments that allow you to keep your head positioned forward. Other things to consider while you’re at the office include the amount of time you spend sitting down. Changing even a few habits can make a large difference in your posture, thus reducing tension that commonly builds in your neck, shoulders, and back from sedentary working positions. While you are on the phone, have the conversation standing up. Do your best to get up from your work station every hour. Add breaks to get water, stretch, take a lap around the office, or go to the restroom. Taking these quick and simple breaks will not only allow you moments to increase circulation, but will also allow a break to gain mental clarity. Just do your best to avoid sitting for unending hours. We want to help you to relieve your tension in your neck, shoulders, and back. Using a standing desk daily is a long term solution that will aid your adjustments in lasting longer. Let us help you get relief from your pain. Schedule your consultation today! Are you stressing over which insurance plan to choose? Do you want to keep your health costs down but don’t know how? Contact us today for a free chiropractic consultation. It’s open enrollment for marketplace health insurance and we know many of you have been thinking about how to keep your health care costs down in 2018. Have you considered chiropractic? Think about how much time you spend sitting all day in a chair, leaning forward to read your computer, laptop, or tablet, and staring down at your phone. You’re probably in a hunched over or twisted position more often than you’d think. Since your posture can ultimately affect your quality of life, you should focus on correcting it. Poor posture leads to spine misalignment, which can affect your health, your mood, and your overall well-being. In addition, poor posture can cause headaches, neck pain, back pain, shoulder pain, and even pain in your arms or legs. This is because you are constantly mis-aligning your body. Improve posture to avoid more of these aches and pains. So, what can be done? First of all, be aware of how you sit and stand as you go throughout your day. When you go throughout your day, notice how you are holding your body and try to correct it. Make sure your spine is straight, with your shoulders relaxed and back. Keep your head facing forward in a neutral position, not tilted up or down. This article showcases more detailed and complex stretches to correct your daily posture. The longer we continue poor habits of sitting, standing, or hunching over, our bodies will correct to these misaligned positions. If you spend all day hunching over with your neck lurching forward, your spine will eventually adjust to that position as its new normal. Poor posture can lead to neck and back pain as well as other injuries. Schedule a free consultation today! We can help you to adjust your posture and properly realign your body for better long term health. Are your kids in a slump??? Wondering how a chiropractor can help your kids? As a child, were you constantly cautioned to “sit up straight!” and “stand tall”? Your parents and teachers likely knew the benefits of good posture: proper breathing, increased focus, and higher self-confidence. Even more, poor posture can lead a person to increased back aches and pains, decreased blood circulation, and can be related to poor self-efficacy. Research has found that teens who sit in a slumped position or slouch are also likely to have weak lower backs and increased back pain while sitting – especially for adolescent males. Studies also show that high computer usage is strongly related to increased neck and shoulder pain. Good posture, starting at a young age, is crucial to lifelong spinal health. Whether you encourage your children to sit up straight while at the table or watching television, consider a chiropractic evaluation to review their posture. This is such an important decision that can potentially help avoid future neck and back pain. Let us help begin the practice of caring for their spine. If you’re looking for one great article to read on why kids should get chiropractic adjustments, please read this. Are you ready to make the informed decision to begin your kids’ spinal health? Book an appointment with Dr. Clark, the kids’ chiropractor for our office! People often associate the need for pain management care with the damage caused by a specific traumatic event. While we do see many patients in the office following them “throwing out their back” or “recovering from a fall,” we see just as many who seek treatment for relief from headaches, pains, and stiffness that can accompany everyday movements. The truth is that moderate and acute neck pain and low back pain are leading causes for patients to take over the counter (OTC) pain pills. However, many of the symptoms that lead people to take OTC pain medications can be relieved through chiropractic treatment, making even OTC drugs for pain management completely unnecessary. In fact, a recent study found chiropractic manipulations and light home exercises relieve tension more effectively than OTC pain pills. Not only can our doctors provide manipulations to alleviate the most common symptoms of neck pain and low back pain, they also advise patients on lifestyle and ergonomics choices that can help avoid pain-causing postures. They can even recommend home exercises that help patients regain strength in problem areas. Other recent studies that look at the real effects of OTC pain pills reveal the wisdom of choosing chiropractic care first. OTC medicines like Ibuprofen and Naproxen, while sometimes helpful at masking pain, has been linked to problems like gastrointestinal bleeding that leads to anemia, kidney problems, blood pressure issues, and even heart trouble. Though controversial, studies like this make it clear that drug use should be minimized however possible, which is why we advise patients to try chiropractic care first. Taking OTC medication may provide a quick-fix masking of your pain, but our office strives to get to the root of the your suffering so that it is not recurring. If you are seeking pain management in Austin, try chiropractic before trying OTC pain pills. Your body will thank you. So we took a break from aligning human spines to work on cactus spines. And we’re pretty happy with our new succulent gardens and our experience working on them together. TreeHouse has a great station set up for making your own succulent gardens and terrariums. It’s actually fun to do as a team, or a competition! 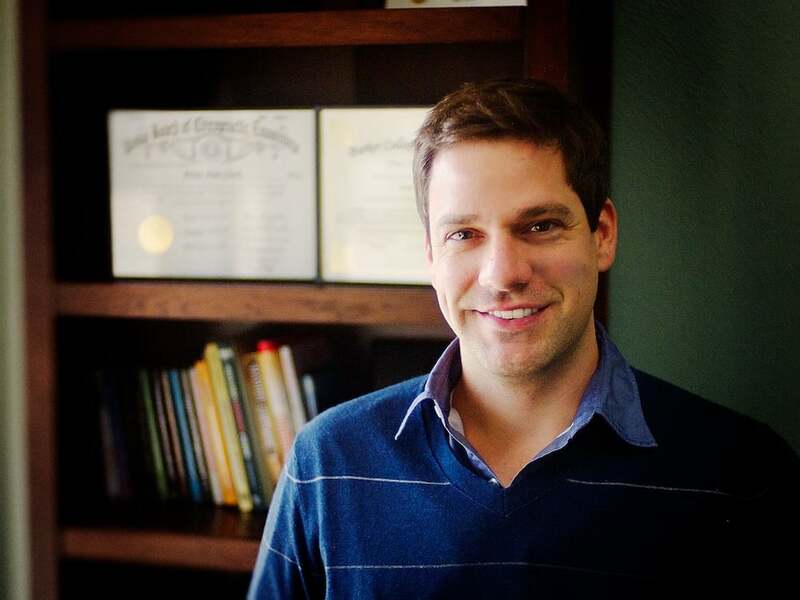 Discover Chiropractic in Austin TX works on all types of spines. If you’re having issues with yours please go here to set up your Free Chiropractic Consultation. Our gentle and effective treatments are great for people of all ages. We love being the #1 chiropractor for Austin families! We all know about the dangers of opiate addiction, but few know the harms associated with common pain-killing drugs like Ibuprofen, Motrin, Advil, and Aleve. This leads to many believing they can be used without much harm. Yet, use of these drugs over a long period of time can raise the risk of heart attack, stroke, and other severe cardiovascular symptoms. This is why drug-free pain management with chiropractic care should be your first choice. An emerging field of study suggests that staying off pain medicines as much as possible can prolong your life. That is why we recommend chiropractic care. Typical chiropractic patients experience significant relief. This can lead to avoidance of surgical intervention or the use of harmful drugs. If you are experiencing pain and want a better way to manage it, put down the drugs. Here at Discover Chiropractic, we treat patients for all sorts of complaints, from common issues to rare problems, and people are often amazed at how much their nervous system affects overall health. One unexpected connection to chiropractic care is the use of opiate pain medication like Hydrocodone — or specifically, avoiding it altogether through effective drug-free pain management. Recent studies indicate that working with a chiropractor for chronic pain is an effective first line of defense for those hoping to stay off addictive drugs, and patients already on medication who worked with a chiropractor saw reductions of more than 50 percent in their opioid use compared with others who relied only on drug therapy. The Journal of the American Academy of Orthopedic Surgeons has been very clear that anyone at high risk for addiction to opioids should devise a drug-free pain management strategy with their doctor if at all possible, and this is where chiropractic care can be a powerful help. Of course, I would hardly expect anyone to just take my word for it. This is the very reason why we’re seeing movements in other states to substitute chiropractic care for pain medicines, as you can see from this news video from New Hampshire, where patients are clamoring for chiropractic care covered by insurance so much that they are seriously discussing changes to the law to help reduce use of drugs like Hydrocodone. Drug-free pain management with chiropractic care really is changing lives, and we’ve seen it with our own eyes here at our clinic in Austin. If you are struggling with chronic pain and worried about becoming reliant on medication — or if you are already on medication but find yourself relying more on opiates like Hydrocodone, OxyContin, or Percocet than you would like — come pay us a visit and we will explore your options for drug-free pain management. Opiate and hydrocodone infographic via drugfreepaincare.org. Check Us Out On Austin.com!